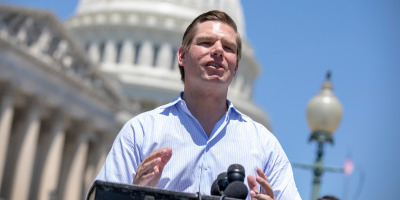 California congressman Eric Swalwell announced on Monday he’s running for the 2020 Democratic nomination for president. Swalwell, 38, has represented California’s 15th Congressional District since 2013. He serves on the high-profile House Permanent Select Committee on Intelligence, leading the CIA subcommittee. Swalwell’s official announcement comes after visits to Iowa, New Hampshire, and South Carolina to test the waters. Esquire first reported Swalwell’s announcement on Monday. 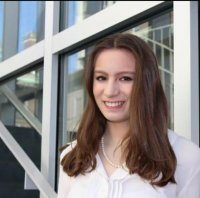 He was set to go public with it on “The Late Show with Stephen Colbert” Monday night, alongside Cameron Kasky, a cofounder of the March For Our Lives, a gun-reform activist, and a survivor of the mass shooting in Parkland, Florida. Swalwell is best known for his work on the committee’s investigations into Russian interference in the 2016 election, frequently appearing on cable news to discuss the latest twists and turns of those inquiries. Swalwell represents California’s affluent and racially diverse 15th Congressional District, which is east of San Francisco. “I do believe that the country, by sending about 27 new members of Congress who are in their 40s and under, that they embraced in this last midterm election new leadership, new ideas and much importantly, a new confidence,” he told MSNBC in December.